The room with the most updates in the 5 years I have lived in our townhouse is BY FAR the kitchen. I can't stop changing it! 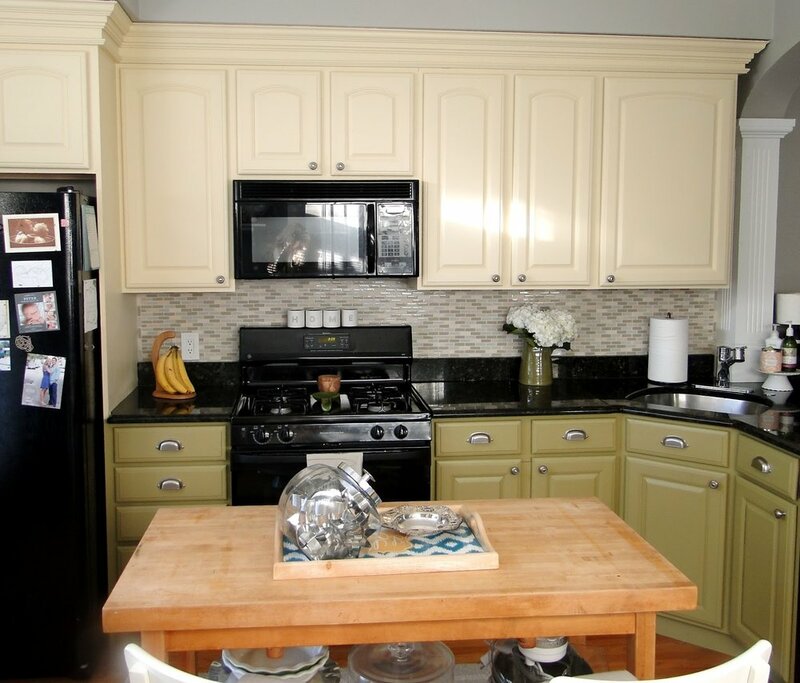 The cabinets and backsplash were the first thing I changed after we were married in 2012 and I think I liked my impulsive, colorful choice, for maybe a year. We updated our stove in 2014, and then I repainted the cabinets to an off-white last year, 2016. 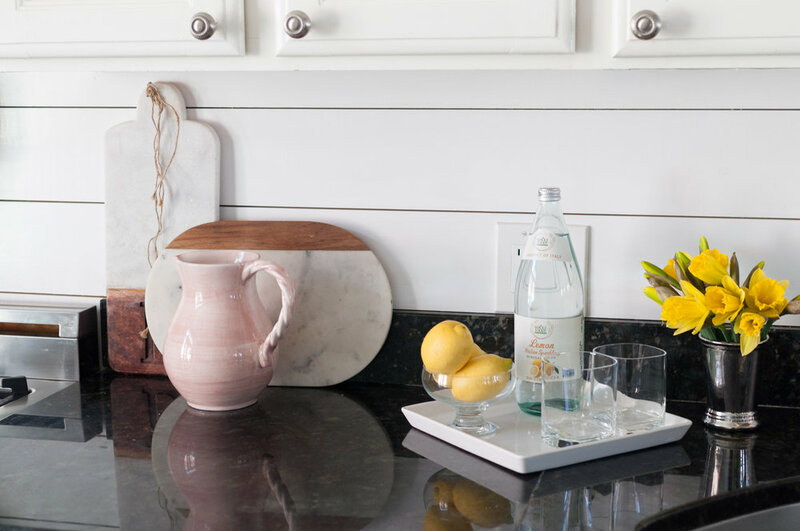 And now, the most recent change was to rip down the tiny, multi-color, tile backsplash and replace it with the most simple, whitest of white shiplap. Below is a pretty good documentation of the progress!! Unfortunately I didn't take a straight on shot of the most recent version - and now I'm in GA and have to just use what I have from shooting last Sunday. Paul and his dad completed the reno project while Roswelle and I were in GA for a weekend in February. I literally left the house with the old tile backsplash and came home to new wood shiplap - and I didn't have to see one speck of dust from the project (helped that Paul hired a cleaning lady after they completed). The overall cost was only $130 which included 3-4 2x6 wood planks, nails, and a thin backing between the insulation and the wood. When they tore down the tile backsplash, the drywall came with it. 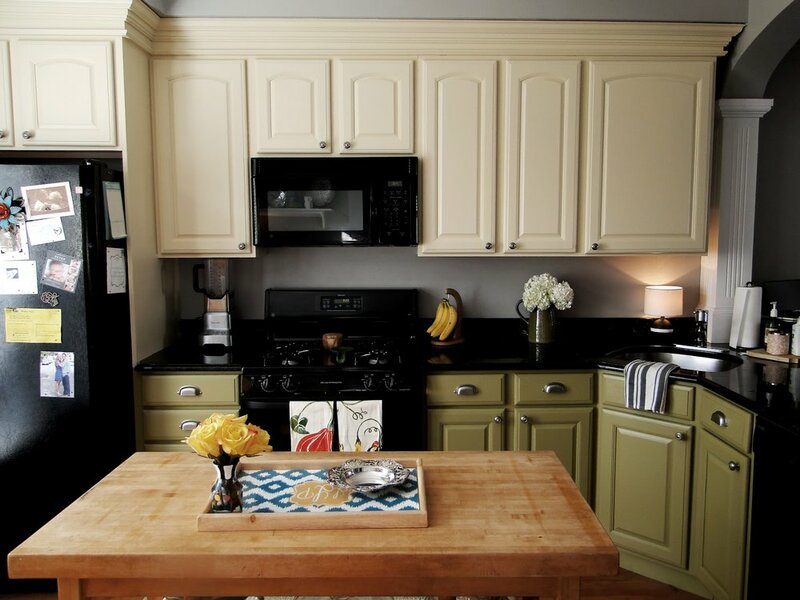 I painted the wood with white Benjamin Moore semi-gloss paint - which can be wiped clean easily. 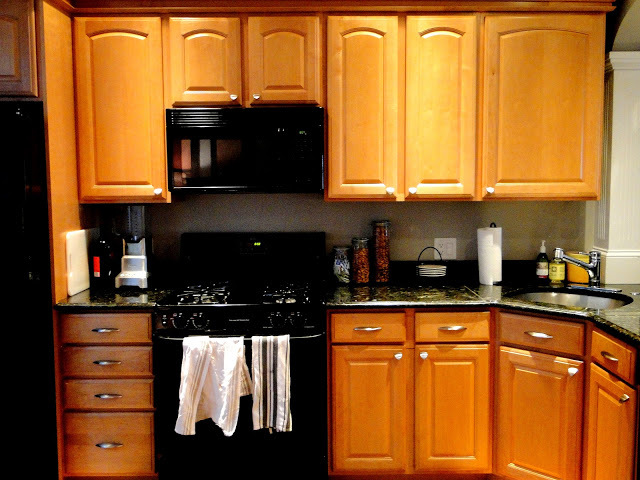 Below are some pictures of different views of our kitchen. The wall gallery in the dining nook has two empty frames, waiting to be filled with pictures of baby girl #2 soon! The benches are from IKEA and i love them as we needed the extra storage. The table is something we made up, between ikea legs and a top we took off another table we had. I'd love a tulip table one day. Bar stools are from Home Goods and were so popular I'm sure you can still find something similar. And the butcher block island is a treasure we inherited from Paul's parents. Paul's mother fondly tells stories of Paul and his brother, Rob, playing/eating at the base of the island when they were little. The only appliance that is ever on our countertops is the kitchen-aid mixer, mostly because I like the way it looks. We store our ninja blender (even though we use it everyday) and cooking utensils in the cabinets below. It helps that our coffee maker and coffee mugs have their own station in between our kitchen and living room. It makes me feel really good to have clean, clutter free counters when I walk into our kitchen every morning. I styled the countertops with a teapot from Homegoods, a pitcher from Goodwill, and some marble cutting boards, one a gift and one from Target. The white tray for the lemons and sparkling water is from Ikea. I didn't buy anything to style the shoot, but instead went around my kitchen rearranging and repurposing. 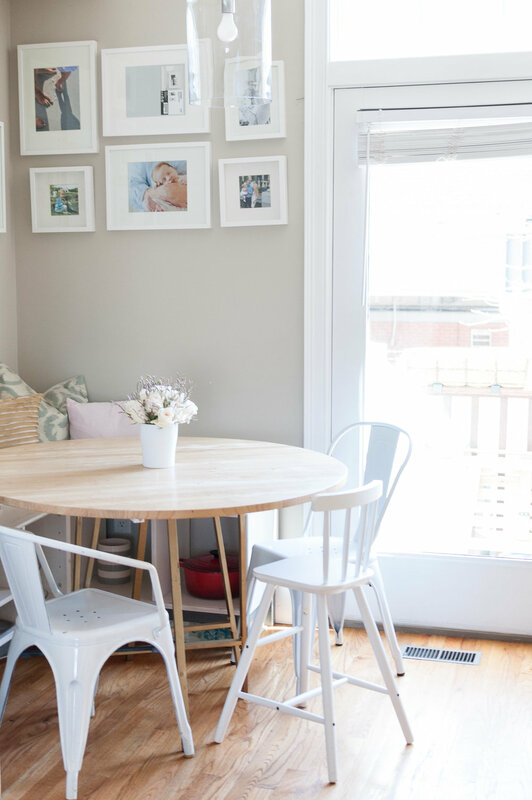 The styling process is so good for me, allowing me to be creative and is actually my favorite part of any blogpost. I encourage you to do the same in your home!